Every woman of St. John’s is considered a member of the Women’s Guild. Each one serves the church both individually and through the Guild. Any woman of the parish may be called upon to volunteer their time and efforts to serve a need of the church or community. We understand that each woman is empowered by God with unique gifts and talents, and each of those gifts and talents is required to serve Christ through His Church. The Women’s Guild has a variety of established ministries in the Church. The Guild does fundraising to support church and community ministries. 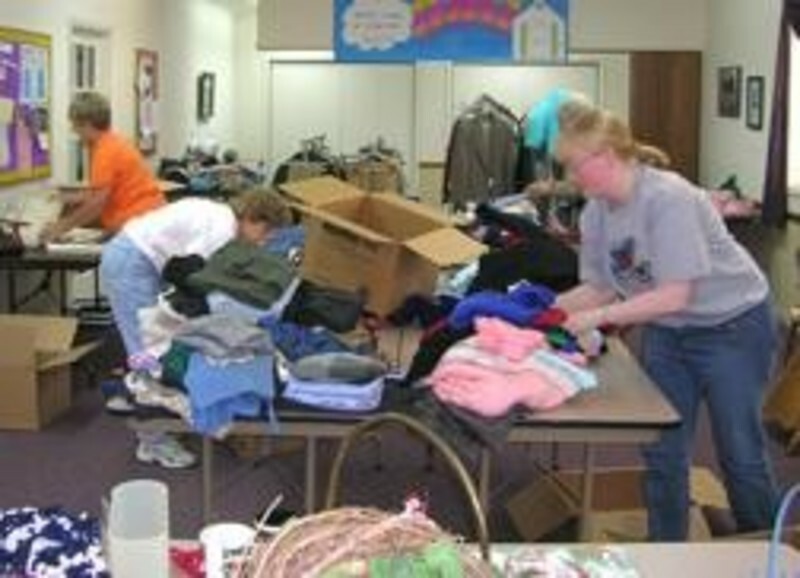 Once or twice a year the Guild organizes a church rummage sale. The Guild organizes and hosts various church dinners: The Annual Parish meeting in January; the Maundy Thursday Agape meal; dinner receptions during the Bishop’s parish visit; and the Christian Education Kick-Off in September. The Women’s Guild is also quick to respond to pastoral needs providing meals for people facing any type of family crisis, and organizing dinners after parish funerals. The Women’s Guild is called upon to assist with Vacation Bible School. As part of the Guild, the women are encouraged to participate in virtually every aspect of the life of the church; including being vestry members, Altar Guild members, lay readers, choir members, etc. The Women’s Guild has played an active role in the stability of the church since its organization in 1855. The goal of the Women’s Guild is to continue to be a pillar of strength for the church as we move forward into another 160 years of serving Christ in the Community.